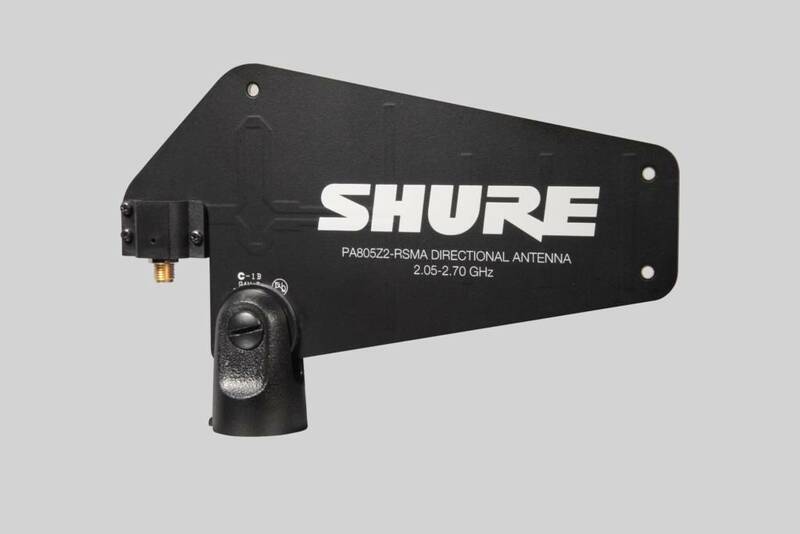 Passive directional antenna for improved reception of transmitter signals and minimized interference from other 2.4GHz sources. The PA805Z2-RSMA Passive Directional Antenna is considered a key part of any GLX-D Advanced Digital Wireless installation. These antennas both improve reception of GLX-D transmitter signals and minimize interference from any 2.4GHz sources near receivers with appropriate installed placement.